What are Flash Diffusers & How can they Help My Photography? Why Use a Flash Diffuser? Before defining what a flash diffuser is, it would be important to ask "what’s the point of using a flash diffuser?" Particularly most useful when doing portrait photography in a low-light and enclosed environment, a flash diffuser is an essential accessory to have. It controls the light source when taking the shots. Whether you use an external flash or your camera’s built-in flash, the tendency is to produce photos with your subject having predominant shadow in the background. This is caused by the light coming directly from one source – that is the flash. That’s when flash diffusers come in handy. It diffuses the light source and bounces it off to the wall or ceiling to prevent the formation of shadows behind your subject. Aside from that, flash diffusers also provide ample lighting to your subject, enabling you to produce, clear and crisp portrait shots, with the focus on your subject’s face. If you don’t use an external flash, you can still use a flash diffuser. Some third-party flash diffusers for built-in auto flash are available on the market today. 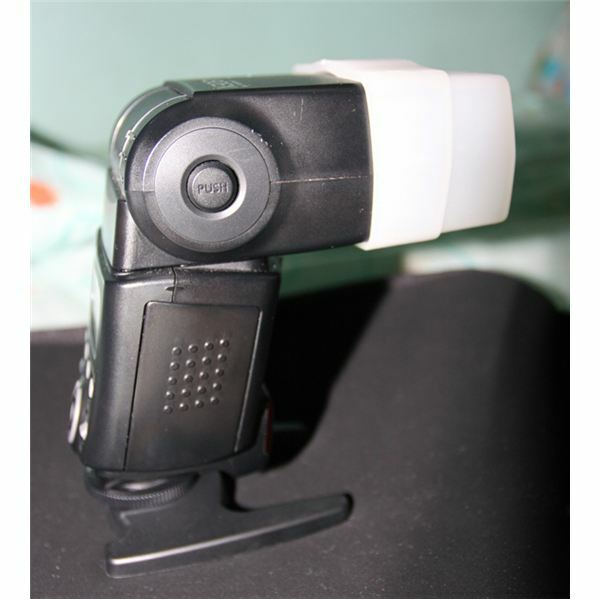 These flash diffusers are small and can be easily attached to your camera covering the top area of your built-in flash. For added fun, these flash diffusers even come in various colors. 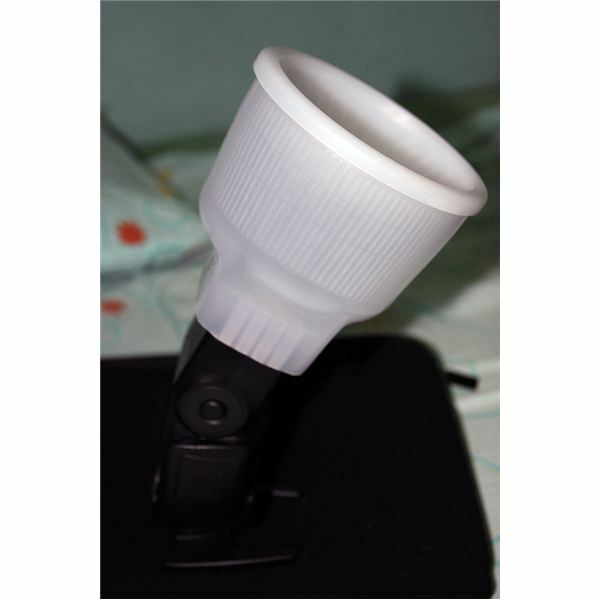 For those who use external flash, there are several kinds of flash diffusers available in the market today. Most common of which is the built-in flash diffuser that comes with an external flash. This is the square transparent material that you can pull in and out of from the flash head. Bounce Flash Diffuser – Aside from this flash diffuser, there are also other types which are provided by third-party manufacturers. The most common of these flash diffusers is a bounce flash diffuser. It’s a square transparent material that fits on the flash head and is used to bounce off unnecessary light produce by the flash. Bounce flash diffusers direct the beam coming from your flash towards the ceiling or other light surfaces. The bounce flash diffuser distributes the light evenly on your subject. When using a bounce flash diffuser, you must position the flash head at a 45 degrees angle pointed towards the ceiling. This would ensure that the light is bounced off properly. Lightsphere (aka Lambency Flash Diffuser) – This type of flash diffuser is similar to a bounce flash diffuser but is shaped cylindrically and contains a dome-shaped material which diffuses light evenly. Popularized by photographer Gary Fong, this type of flash diffuser warms the light when doing flash photography, specifically portrait shots. Flash Reflectors – Instead of flashing the light through the diffuser, flash reflectors fire the light towards the reflector disc. The reflected light illuminates the subject of your photos. You can then use this reflected light as the primary source of light for your photos or as a second light source. 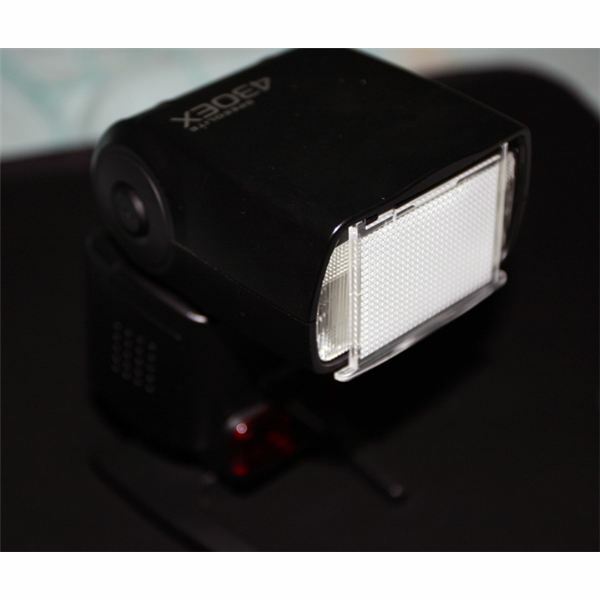 Other Flash Diffusers – There are other types of flash diffusers available on the market including what are called, snots, gels, and grid spots. But since they are not fully supported by camera brands, it is a challenge locating them. So, some photographers opted to create their own diffusers instead of buying from third-party sellers. There are many DIY instructions on making these flash diffusers and materials are easily and readily available.